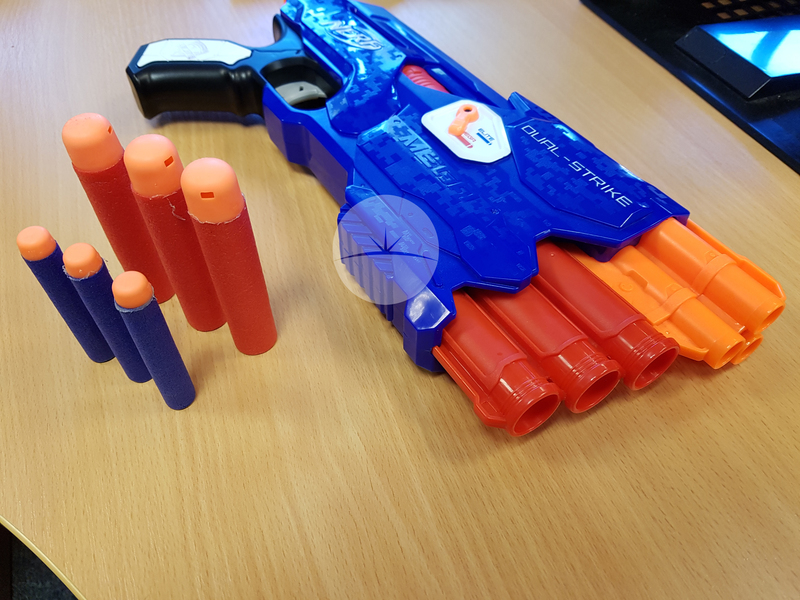 A NERF battle stops for no man! 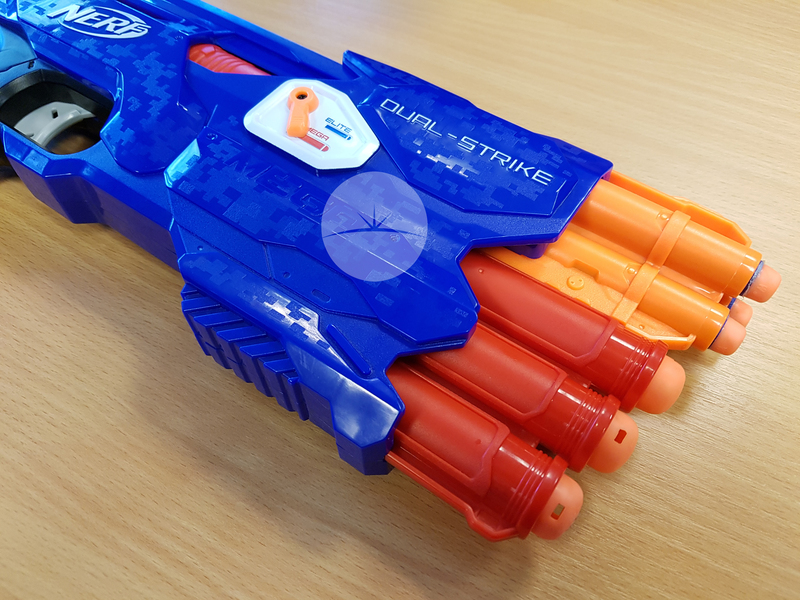 So you need to be to quickly reload and have different types of ammo, this is where the NERF N-Strike Dual-Strike Blaster comes in! Rocking the ability to shoot both Elite and Mega ammo types, this gun is great to have in any NERF battle. I am a massive fan of how you can load and use the gun with any combination of the two types of dart. So you can go in heavy with the Mega darts, then switch to the Elite type. This switching is done with a switch on the side. It’s quick and easy, I can flick it without looking and change the darts I’m firing. It’s incredibly fast to load and there isn’t any reloading mechanism that can get stuck. It shoots straight and with a great amount of power. The mega darts make a great whistling noise when fired and can travel across a good size room. I am a massive fan of the “Thump” noise on each fire and is very satisfying. There’s a Nerf picatinny rail on the top, so I can attach a shield/light/sight, if needed. I found it hard to aim this gun. 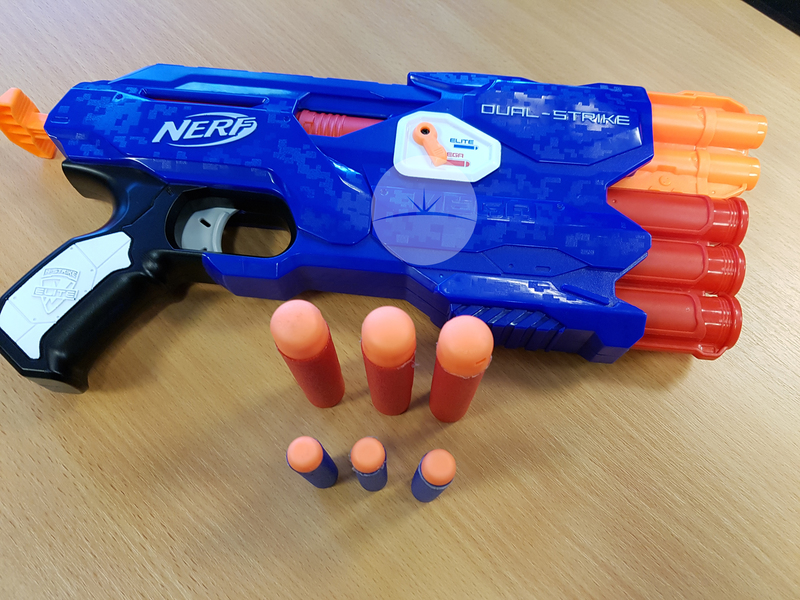 In the past I have found other NERF guns easy to aim, but didn’t find that with this one. Apart from that there was very little I could find wrong with this one. 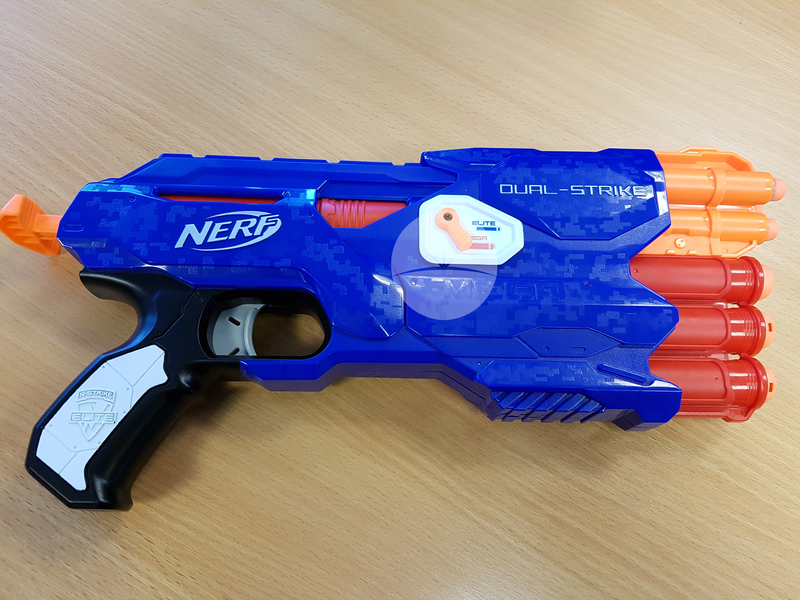 In conclusion, I love this NERF gun, and for only £19.99 it’s an absolute steal!